Family owned and operated by local residents in the desert. 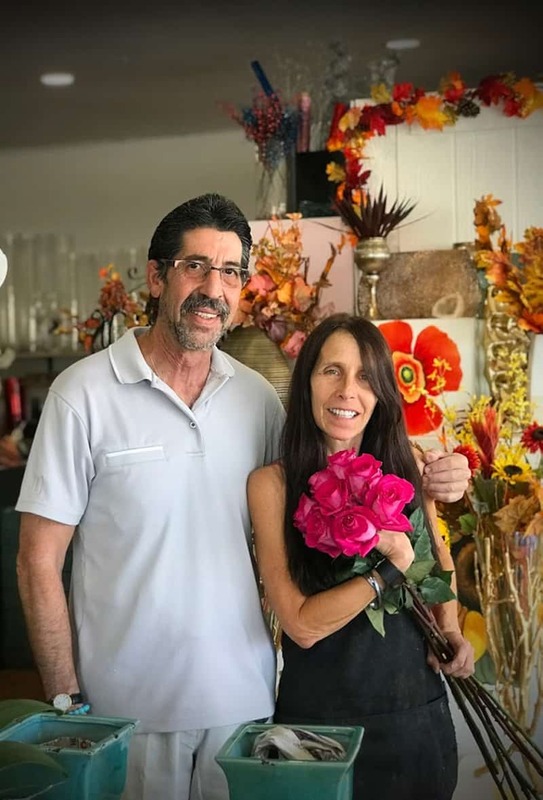 Rancho Mirage Florist has served the Coachella Valley for 42 years and has always been family owned and operated. In 1999 we, Mark & Sharon, stepped in as the proud owners to carry on the heartfelt family tradition of sending not just flowers, but true messages of the heart. When we became the owners we made the decision to take this already outstanding florist to a new level. To do this, we began researching different growrs from all over the world. We want to offer the freshest and most unique fresh cut flowers available! Every week, Mark drives directly to these chosen growers and hand selects our fresh flowers. He drives them home to us in a refrigerated van where the care of these special stems begin. We, and our staff, take special care in the processing of our flowers to ensure the longevity of their life. Flowers arriving from all over the world… Ecuador to Holland… deserve five star accommodations! Whatever the occasion, our flowers lift the spirit, welcome a new life, honor the dearly departed, celebrate marriage, thank a friend, appreciate a business associate, or simply let someone know that he or she is thought of. With Rancho Mirage Florist you truly can “Say it with flowers!” A florist shouldn’t be just another flower shop. We are a place where magic happens. Try us and experience the magic of flowers!